Фильм №11 - Подготовительная практика речи на базе лексики алфавита: Внимательно просмотрите следующий учебный ознакомительный фильм и, возможно, у вас появится желание начать учить беглый разговорный английский с нашим курсом. 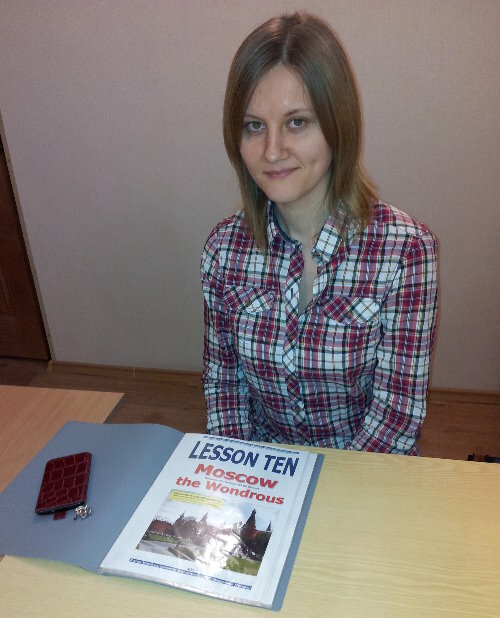 Ekaterina Medvedeva has a perfect command of the English conditionals. Right now she's using them in her speech. I guess, I should have long found the course I'm learning now. Had I come across it right then as I was still in school, I would have never understood that I was taught by the school and later college teachers who couldn't speak English. If they'd been able to talk English off-hand and correctly, they would have probably been able to teach English properly to their students, and I might've long mastered English as I should have done, but unfortunately I never did. Who could've thought that English proved to be as simple as that in terms of the Subjunctive Mood? And you ought to be in my place so you could feel what I feel now. I'm literally on cloud nine, I mean I feel really elated since I can so easily use, apply this part of grammar in my everyday life. Sure enough, I might have failed to get such a smooth command of English, had I not stumbled upon the BTC English School in the World Wide Web (the WWW for short) two years previously. And you, Dear Readers, would not have been reading this post of mine for a few minutes now, might have never been wondering how a Russian student could gain such a complicated part of grammar, and so fast as it is. How great it feels to be able to use these Conditional Clauses, doesn't it?! And could you believe me that it's not that difficult at all? Had you happened to be in my shoes two years before, had you found this school in my stead, you'd feel the same. Of that I'm 100 percent sure. You've been reading these lines for some time now, and you must have thought what I had thought long before that it was impossible to learn and use this grammar in your English. Did you really think about it? Did you? ... Tell you again that it's so very easy to get a decent command of the Conditionals providing you have found the right course of English like the one I did a couple of years back. So, I could have never brought myself to write this very posting, and you might have never read something like that if I hadn't been taught proper English at the BTC English School. Thank you very much, indeed, for taking time to read my message! Заданием: Сначала много раз повторяйте вслух за голосом диктора и затем начинайте переводить с русского на английский, опережая диктора.